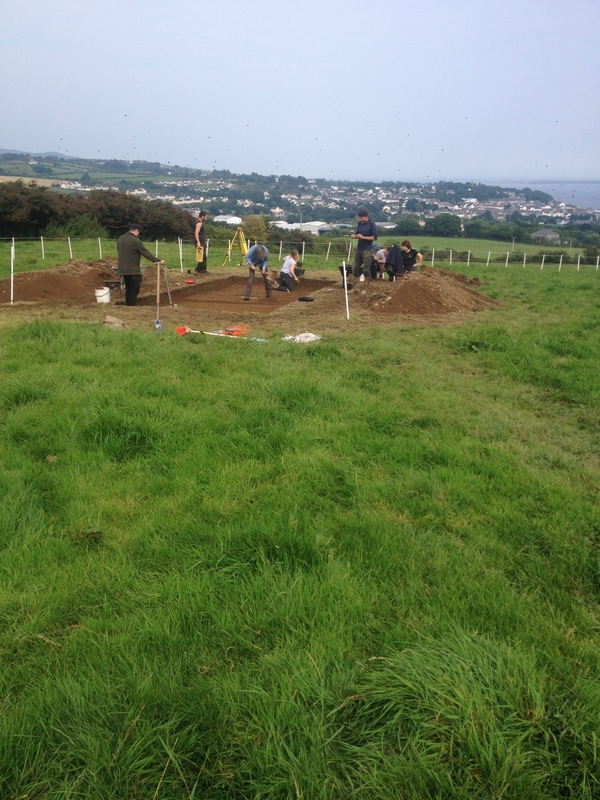 Picture shows excavations at Cooley, Moville, in a field adjoining the graveyard (18 August 2016). This is part of the Lands of Eoghan Archaeological Festival which explores the Early Christian connections between Inishowen and beyond. The Festival opens on Friday 19 August with a lecture by Brian Lacey. For 5 lectures on Saturday in Carndonagh, see Lands of Eoghan Facebook page. Admission is free and open to everyone. This is the fifth year since studies began on Inishowen monastic sites led by Colm O’Brien and Max Adams and a group of volunteers called the Bernician Studies Group (see their website). This year they are joined by a small team of young archaeologists and local archaeologists. At the end of the dig shown above, some archaeological material was beginning to appear. Studies are also being carried out in the graveyard without soil removal or interference with graves. Sorry Amanda I did not see this in time. A visit to Cooley graveyard is worthwhile to view progress and meet the diggers who will be there this week until 27 August.